Shortly after the Revolutionary war, James Cain left his home in Wales and set sail for the newly formed United States. Landing in South Carolina, he resumed his trade of manufacturing felt hats. Soon he met and married Joanne King in Charleston. In 1794 they had a son, James Oscar Cain, who was destined to play an important role in Jasper and Walker County, Alabama. James Oscar married Elizabeth McCauley and the newlyweds set out for Alabama. They settled in what is now known as Liberty Hill. James Oscar became successful locally raising stock, farming, coal mining, cotton gins and mills. He was elected four times to the Alabama Legislature, and it was he who drew the boundary lines of Walker County. James and Elizabeth were the parents of 13 children. Their fifth child, born in 1835, was named Elizabeth after her mother, but came to be known simply as Betty. Also migrating from South Carolina was the Musgrove family. Dr. Edward Gordon Musgrove and his wife Rachel were among the first settlers and Walker County. It was Dr. Musgrove who donated the land to establish the city of Jasper in exchange for it becoming the county seat. Dr. Musgrove, also a member of the Alabama Legislature, was the first County judge and the only practicing physician in Jasper for several years. Consequently, he knew practically everyone in town and had observed some young ladies as prospects for a daughter-in-law. He advised his son, Francis Asbury Musgrove, of a certain girl named Betty Cain, who he felt would make the best wife for Francis. Francis made his way to her neighborhood and inquired after Betty. He was directed to a barefoot girl about 14 years old. Though she was barely a teenager, Francis recognized the personality and character that his father had noticed. After waiting until she turned 18, Francis and Betty married, joining two of the most prominent families in Walker County. 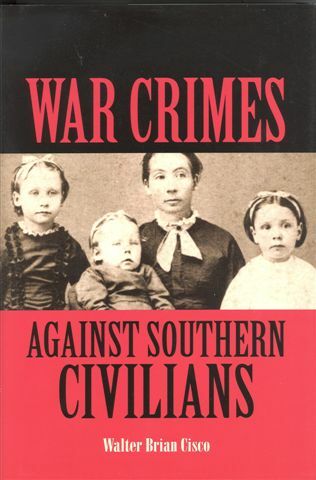 About eight years into their marriage, the war between the states broke out Francis joined the Confederate Army, leaving Betty home with four small children. Francis made his way for the second time to the Liberty Hill community and helped form Co. L, of the 28th Alabama Infantry. It was during the war when Betty strong character truly asserted itself. At one time she managed to hide almost 1000 pounds of meat from Union soldiers scouring through Jasper, gathering all the supplies they could find, even taking clothing items from Betty and her children. Like her father, she was generous to a fault and this meat later furnished food for dozens of families. She was said to have witnessed a horrifying sight. A Yankee soldier who had deserted simply to look for food, was shot dead by his peers. Later that evening, after hearing dogs continuously howling and barking, they learned they were digging at the shallow grave of the deserter. Even though he was a Yankee and a deserter, she couldn't endure the thought of his body being desecrated. She had his grave re-dug and the soldier properly buried. She was seen frequently riding through town visiting the less fortunate. Her nephew once said that there wasn't one poor or needy person, one blind or bedridden person or anyone dragged down by the trials of life, that she didn't visit regularly, taking food, clothing or just encouraging words. Her husband, now Captain Musgrove of Company L, 28th Alabama infantry, had been wounded in the battle of Murfreesboro, Tennessee, but finally made his way home at the close of the war. The 28th Alabama surrendered in North Carolina. Like many Confederate soldiers, he was stripped of his belonging and told to get home the best way he could. Some did not make the long walk home and died from starvation or some other calamity or arrived home more dead than alive. Tragically, in July of 1865, Captain Musgrove died of Typhoid fever. But Betty's courage undaunted, remained a loving mother and a caring neighbor. It was her love for the South that led Mrs. Musgrove to organize a group of ladies and form a chapter of the United daughters of the Confederacy. This group was chartered in July 4, 1905 with Ms. Musgrove serving as president. Her interest in and concern for the old Confederate veterans was well known. Perhaps this, along with the memory, her husband, was what awakened the desire for some type of tribute to the Confederate veterans of Walker County. Under Mrs. Musgrove’s leadership, the ladies of the Jasper chapter worked for three years to raise the $4000 needed for a monument. One of the most popular stores is of Mrs. Musgrove circulating through town, asking everyone to donate five dollars to the Monument fund. As she approached a very distinguished gentleman and asked for a contribution, he drew his chest up and declared, "Madam, I am a Union soldier, I fought for the North." "In that case," she replied, "you may give me $10." After that much hard work, at last the Monument arrived. It was kept carefully veiled and work began at once for the foundation. The monument was to be located in the public square in front of the Walker County Courthouse. Unveiling was planned for November 23, 1907, and was to be accompanied by a big barbecue. This, however, was postponed due to an illness of Mrs. Musgrove, then approximately 73 years old. Eventually Saturday, May 2, 1908, was set as the date for the unveiling. Everyone was cordially invited to attend. People came from many places; approximately 5000 assembled in Jasper. A procession of carriages, band, wagons and school children marched to the courthouse square. The Confederate “stars and bars” decorated almost every building. Seated on the platform were 75 Confederate veterans along with the Jasper chapter of the UDC. Prayers and songs opened the ceremony. Poems and essays written especially for the occasion were read by various members. Two men, who would later go on to achieve political prominence, addressed the crowd: William C. Davis (a future lieutenant governor of Alabama) and William Bankhead who served as speaker of the house of representatives from 1936 until 1940. General George P. Harrison, state commander of the United Confederate veterans, also gave a very moving speech. Mrs. Musgrove was given the honor of pulling the cord to unveil the Monument – a beautifully carved granite obelisk approximately 30 feet high. Facing the South are three Confederate soldiers: the one on the top signifies an enlisted man; one is a. Cavalry officer and the other is a clean-shaven enlisted man. The south side of the base reads "to our Confederate soldiers erected by Jasper chapter UDC 1907." The dream of the Jasper chapter of the UDC had been realized. Mrs. Musgrove praised the name of the Confederate soldier and urged those present to always "cherish" and "protect" the Monument. Stories of her kindness to others and her diligence in seeking a Memorial dedicated to the Confederate soldiers have been kept alive through the years. However, there wasn't a more loyal subject to the United States than Mrs. Musgrove. In 1917, a beautiful marble plaque was placed in Walker High School where it remains today. Dedicated to her memory, it reads simply … Elizabeth Cain Musgrove - to her country she was a patriot - to her community, a good Samaritan. The beautiful monument that graces the town square in Jasper, Alabama was purchased somewhere around February 1907, by the Jasper chapter number 925 of the United daughters of the Confederacy. This chapter was the first known UDC chapter in Jasper and was chartered on July 4, 1905, with the following officers: Mrs. Elizabeth Cain Musgrove, president; Ms. Ella Duffee, recording secretary; Mrs. John A. Gravlee, corresponding secretary; Mrs. H. W. Moore, treasury; Mrs. N. H. Carpenter, historian; Mrs. Dr. A.M. Stovall, registrar; and Mrs. Elizabeth Cain Musgrove, treasurer of Monument fund. It took three long years for these ladies to raise the $4000 needed to purchase the Monument dedicated to the memory of the Confederate soldiers of Walker County. When the Monument arrived in Jasper, and late October 1907, it was kept covered awaiting the unveiling date of November 23, 1907. Much to the disappointment all involved, the unveiling had to be postponed due to the illness of the president and vice president of the Jasper chapter and Gen. George P. Harrison, state commander of the United Confederate veterans, was unable to attend on that date. On Saturday, May 2, 1908 the big day of the unveiling had finally arrived, Jasper was filled with from 3000 to 5000 people excitingly awaiting the long-awaited event. The weather even seemed anxious to participate in the festivities, for the sun poked through the clouds just as a procession began. The long and dignified procession began at the school with the carriage of Jasper's Mayor Guttery in the lead. Fourteen young ladies, representing the southern states, were second in line and followed by the Chickasaw band. The school children came next in order of their grades, then the sons of veterans, the members of Camp Hutto, the United Confederate Veterans, the Carbon Hill band at last was Gen. Harrison's carriage. All along the parade route, nearly every building was decorated with the Confederate stars and bars (the First National flag of the Confederacy). A large platform had been erected at the base of the veiled Monument and decorated with Confederate flags, and the Stars and Stripes. The dignitaries seated on the platform were the members of the Jasper chapter of the UDC, about 75 Confederate veterans, Gen. Harrison and Gen. J. N. Thompson (the commander of the third brigade), William B. Bankhead, Rev. R. I. Walston, and Gen. George P. Harrison. The Carbon Hill and Chickasaw band entertained this vast crowd with southern tunes and a stirring rendition of "Dixie". The program began with the schoolchildren singing "America" followed by a prayer given by Rev. R. I. Walston of the Methodist Church. The welcome was given by a man who would later become the United States speaker of the House of Representatives William B. Bankhead. In his welcome, he said "I thank God that I am a son of a Confederate soldier. Though my father has been honored by the suffrage of the people of Alabama as a United States Senator, for which I am deeply grateful, but before God, this day, I had rather he hand-me-down as a heritage his sword as a Confederate soldier than his commission as United States Senator. We are grateful that Jasper and Walker County can and is having an occasion like this. Upon the part of the local chapter, the veterans, the sons and citizens, it is a great pleasure to welcome this vast concourse." An essay written by Mrs. Elizabeth C. Musgrove was read followed by the unveiling of the Monument and the song “Dixie,” the Hon. William C. Davis (a future lieutenant governor of Alabama) accepted on behalf of Walker County. In his speech he stated that: "Walker County did not hesitate to do her part. With 600 voters she did wonderful work. She furnished 1900 man. Even the boys went. You couldn’t keep them away. What did this mean?... Patriotism and devotion to duty does not express it. Did they fight for what they thought was right? No; more. They follow for what they knew was right, under the Constitution. They were not Rebels; they were patriots." "I thank God... That I have obeyed your order, dear Madam (addressing Mrs. Musgrove) to come here today. Walker County has made a glorious record of which you should always be proud. I tender my thanks as the head of our organization because we appreciate this memorial, and because you are entitled to the heartfelt thanks of every Confederate veteran. "Talk to me about rebels. Call the Confederate soldier a traitor. It shall not be done in my presence as long as I live that I shall not deny it. When the drum was sounded and the invading army was crossing the Potomac, the Confederate soldier left his home and loved ones to respond to the call of duty. I need not tell you he was no traitor but a man of conviction." Pointing to the statue at the top of the monument he said: "But look up yonder. Do you see that man standing there? He bounds to the front. I commanded 1000 of those fellows, and though I have obtained rank, it was the boys that placed the stars on my collar. Those were the men who were fighting for home." He ended his speech with the words "My heart bound with gratitude. I thank God that I was born in Dixie, reared in Dixie, educated in Dixie, fought four years for Dixie, that I am in Dixie, that I may remain in Dixie, and that when I die that I may be buried in Dixie." Following Gen. Harrison's address, Ms. Mamie Propst of Oakman, read a poem, written for the occasion and the benediction was given by Rev. R. I. Walston. The dream of the Jasper chapter had been realized and the monument is a reminder of the dedication of the ladies of the Jasper Chapter, UDC, under the leadership of Mrs. Elizabeth Cain Musgrove, to erect a fitting memorial to our gallant men who wore the grey. This beautiful monument stands today to remind all who pause, of the devotion and sacrifice of the men of Walker County for their beloved Southland.